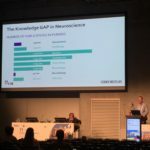 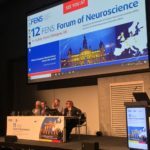 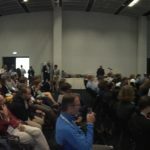 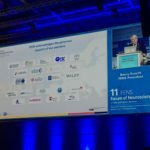 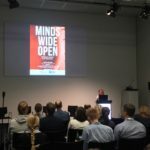 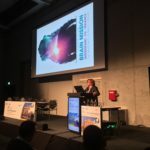 Last week brought to a close the bi-annual FENS Forum of Neuroscience, held in Berlin, Germany on 7-11 July. 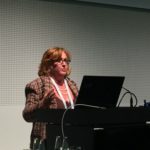 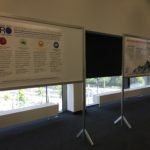 EBC was pleased to have multiple sessions as part of the 5-day agenda, kicking it off with a poster session during the IBRO Global Advocacy Initiative Networking Reception as well as an introduction into the work of EBC by EBC President, Prof. Monica Di Luca. 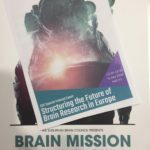 The following day, 9 July, EBC held a Special Interest Event on ‘Structuring the future of brain research in Europe’, which explored how the 9th Framework Programme, “Horizon Europe” can accelerate brain research across Europe in view of the preparations for the forthcoming EU research scheme and how to bring attention to the current barriers that affect basic and translational research and facilitate an exchange of views on how the post-2020 Framework Programme can make a real difference for patients living with brain disorders. 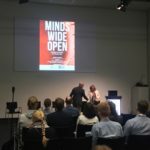 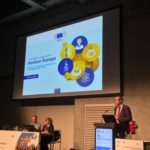 EBC President Prof. Monica Di Luca started the session with an introduction into EBC’s calls for a specific Brain Mission in the supposed “mission-oriented” framework programme, followed by EBC Executive Director Frédéric Destrebecq stepping in to deliver the presentation of DG Research & Innovation regarding their work in the preparation for Horizon Europe and what it will mean for the next round of science funding. 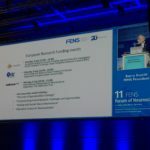 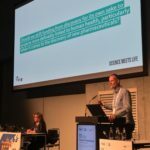 Prof. Patrik Verstreken, Scientific Director & Group Leader, VIB Center for Brain & Disease Research, KU Leuven gave a scientist’s perspective on FP9 and EU funding programmes as an ERC recipient. 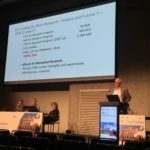 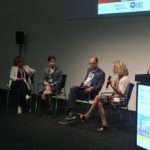 The session was rounded up by a presentation on funding and political influence from EBC Vice-President Prof. Wolfgang Oertel and led into a discussion with the audience. 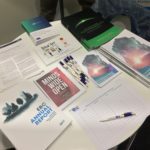 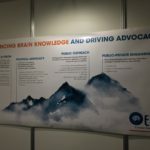 The event was well attended and we were pleased to have many follow-up questions by the neuroscientists in attendance both at the event and in the coming days at the EBC Exhibition Stand. 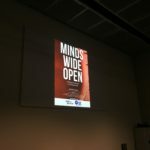 On 10 July, EBC embarked on an exciting partnership with US-based Tianqiao and Chrissy Chen Institute (TCCI) to release a “sneak peek” into their upcoming neuroscience documentary, MINDS WIDE OPEN , which will premiere in September on the Discovery Channel. 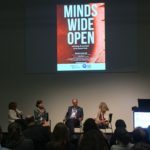 The viewing was followed by a panel discussion led by Dr. Beth Stephens (Boston Children’s Hospital) with Prof. Monica Di Luca (EBC President), Dr. Megan Carey (FENS Kavli Network Scholar), and Prof. Eero Castren (Incoming FENS Secretary General) tackling topics such as young researchers, funding opportunities, the need for continued support and encouragement of neuroscience, and many more. 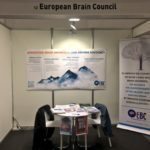 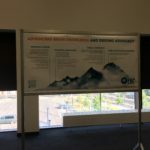 Finally, EBC was present in the Exhibition Hall, where we were able to distribute the Brain Mission, Consensus Statement, present our new poster and give general introductions into our work. 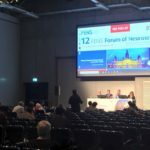 Thank you to all who stopped by and to all who attended our events, making the FENS Forum 2018 a great success!